Calling upon Saxon forces the rally and drive the Vikings out of Wessex, Uhtred and Alfred gird for a decisive battle, but treachery awaits. 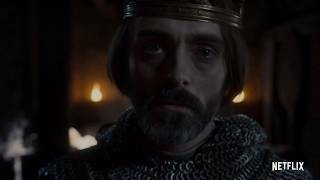 Driven to hiding in the marshes after the Vikings invade Wessex, Uhtred and Alfred finally make amends and devise a plan for retaking the kingdom. Uhtred catches the eye of a lovely pagan queen, and his band of raiders becomes mercenaries for a Cornish king. But he soon faces the fury of Alfred. We try to add new providers constantly but we couldn't find an offer for "The Last Kingdom" online. Please come back again soon to check if there's something new.